She was almost a Wildcat, but then the Eagles came soaring in. 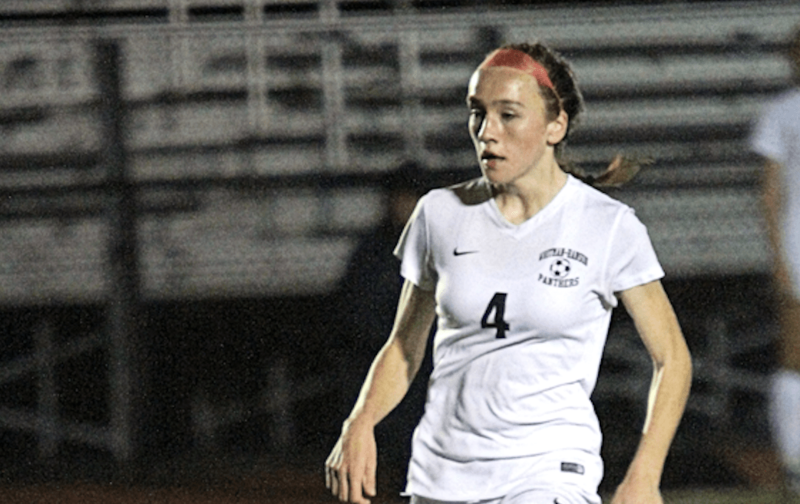 Whitman-Hanson Regional High girls’ soccer senior captain and back Sammy Smith was committed to the University of New Hampshire for soccer — a decision she made as a freshman — until a roster error paved the way for her “dream school” to come calling. “For my club — the U-18 team that I play on — I’m like the youngest player on that team, so I qualify to play with the U-17 team and everyone on that team is good,” Smith explained. “They want to go to college and they’re seriously looking into college soccer. So, the phone calls began as coaches tried to lure the two-time Patriot League All-Star and reigning first-team EMass selection onto their respective campus. “One of the coaches at my club was like ‘All these colleges are contacting you, do you want to look into them?’’’ Smith recalled. Smith obliged and she’s happy she did because Boston College was one of the them. Smith might not even be the happiest one in her family about the decision. W-H girls’ soccer head coach Dave Floeck said Smith, who has started for him since she was a freshman, is one of the most athletic girls he’s ever coached. “She’s super quick and everything else, but her ability to change directions — while being full speed when most kids can’t do that, they have to take an extra step — gives her the advantage,” the 23rd-year head coach said. Panthers senior goalkeeper Skylar Kuzmich said having a player on the field of Smith’s caliber — someone who can excel at multiple positions and on both ends of the pitch — is an immense asset. “Sam is a great player and it’s funny because she already does play offense when she’s on defense because she dribbles through everyone and then goes up field, but with her there, I feel great, but without her [at defender] we’re going to score goals,” Kuzmich said. Smith said she doesn’t let the fact that she’s going to a top collegiate women’s soccer school alter the way she goes about her business. Smith’s commitment adds to a long list of Panthers girls’ soccer players to head to the Division 1 ranks. Lauren Bonavita and Taylor Kofton, both of whom graduated last spring, are in their freshman campaigns at UMass Amherst and Boston University, respectively. “Oh, I want to win a state championship,” she said.